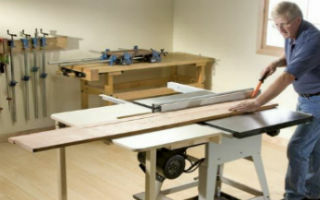 Buying a table saw is one of the most important investments a woodworker can make. If you're in the market for your first saw or ready to step up to a better model, keep reading. 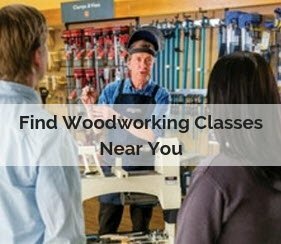 We'll bring you up to speed on table saw types and classes, what to look for in any table saw, and how to choose a model that suits your woodworking style and budget. The table saws available on the market today almost all fall under one of the following classifications: portable or "jobsite" saws, contractor saws, hybrid saws and cabinet saws. If you're shopping for a new saw, the first things you'll need to know is what the classifications mean, and what you can expect from saws in each class. Portable table saws are designed to be easy to lift and move around, making them great for carpenters and others who spend most of their time on the job site. Portable table saws perform the same basic function as larger table saws, but on a smaller scale. Instead of the hefty induction motor that you'll find on saws in the other classes, they use a lightweight universal motor, and because of that, tend to be a little short on muscle and also fairly loud. As another concession to portability, most portable saws have an aluminum top, instead of cast iron. The aluminum top and less torquey universal motor are not necessarily "problems" but they are definitely less durable and also mean that the saw will produce more vibration and feel less stable to operate. 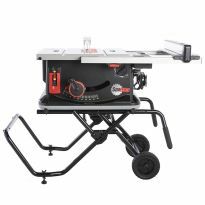 Bosch portable table saw improvements in recent years to "jobsite" saws have made them more viable for woodworkers, and better than ever for carpentry tasks. The Bosch 4100 Portable Saw you see here, with its 15 amp universal motor and 25" rip capacity offers enough power for most common ripping jobs and reasonable capacity for cutting sheet materials. Still, portable saws lack the power to rip thick hardwoods and aren't really designed to provide the accuracy that fine woodworking demands. Since contractor, hybrid, and cabinet saws represent more realistic choices for professional woodworkers and serious hobbyists, we'll consider them in more detail below. powermatic model a4 table saw. Contractor saws were originally designed to be portable enough to haul from jobsite to jobsite. 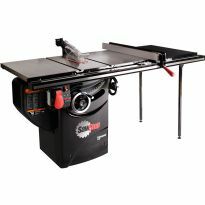 These open-based table saws are characterized by a straightforward design and an affordable price. Contractor saws are relatively lightweight (in the 250 - 350 lb. range) usually priced within the reach of the hobbyist and homeowner and until recently, have been virtually the only option for the small shop. Contractor saws do make a few concessions in the name of affordability and portability. Although most contractor saws have a solid cast iron table top, the extension wings may be made of "open webbed" cast iron or stamped metal. The trunnions, gearing and arbor assembly of a contractor saw are less husky than those found on more expensive saws. The contractor saw's motor hangs off of the back of the saw - a feature originally meant to make the motor easier to remove for transport - and is most often connected to the arbor assembly via a single V-belt. 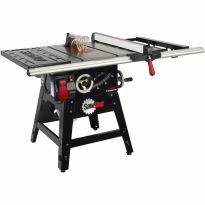 Contractor saws are still the most affordable solution for the home shop, and are suitable for carpentry, small cabinetry projects, trim work, and basic furniture making. Many contractor saws now come with high quality fence systems. Using the best quality saw blade and using blades designed for a specific type of cut - can enhance the performance of a contractor saw and bring it up to speed for many more advanced woodworking projects. Buying a contractor saw that's equipped with solid cast iron extension wings will increase the stability of the saw, and help reduce the impact of vibration on the saw's less substantial trunnions and gearing. Cabinet saws - so called because of the fully enclosed "cabinet" style base - represent the other end of the spectrum from the contractor saw. 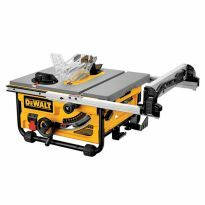 Cabinet saws are designed to meet the performance and durability needs of professional woodworkers. Cabinet saws are more substantial in overall construction than contractor saws - they're built using more cast iron and steel, have heavier trunnions, gearing, and arbor assemblies, and more powerful motors than their contractor saw counterparts. The cumulative result is a saw that can cut through even the thickest hardwood stock easily, all day long, with very little vibration to wear on either the saws alignment and settings or the operator's nerves. A number of features set the cabinet saw apart. The motor is enclosed inside the cabinet base, making it a quieter saw, and the fully enclosed base has the advantage of making dust collection easier. The motor and arbor assembly are held in place with heavy-duty trunnions that attach to the cabinet base (instead of the table) which makes bringing the saw blade into alignment with the miter slot and fence much easier. As a rule, cabinet saw are manufactured to more exacting standards than less expensive saws: their tables are flatter, their bearings and pulleys heavier and more robust, and most often, they're equipped with a more reliable fence system. 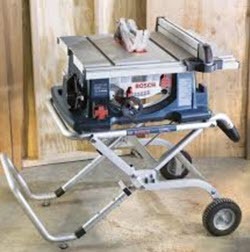 A good quality cabinet saw is more of an investment than a contractor saw. And because cabinet saws use more powerful motors (3 -5 HP as opposed to 1 - 1-3/4 HP for contractor and hybrid saws) they require a 220 volt circuit for operation. They are by no means portable - a full sized cabinet saw weighs in at upwards of 600 lbs. 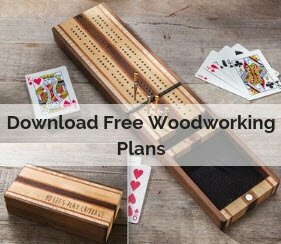 But even with the greater expense, the electrical power requirements, and the physical heft of the machine, cabinets saws are still the preferred saw of professional woodworkers and serious amateurs alike due to their superior performance. In recent years, tool manufacturers have begun to recognize the gulf between affordable contractor saws and professional-class cabinet saws. The result has been a new class of table saw. "Hybrid" table saws capture some of the most valuable cabinet saw features at a price that's still in range for the hobbyist. Some hybrid saws have a cabinet saw-style base while others have a shorter enclosed base and legs. 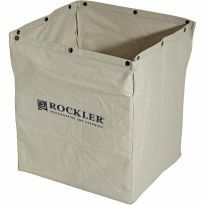 In either case, the base is fully enclosed, with the motor mounted inside. Hybrid saws are equipped with more substantial trunnions and arbor bearings, often a more advanced drive belt system, and better gearing than most contractor saws. In addition, the trunnions of many hybrid saws are mounted to the base of the saw, making precision alignment of the blade with the miter slot and the blade much easier. Hybrid saws are essentially a scaled down version of the cabinet saw. They're lighter weight, and are equipped with motors in the 1-1/2 - 1-3/4 HP range (which means that they can be used with standard 110 volt service). 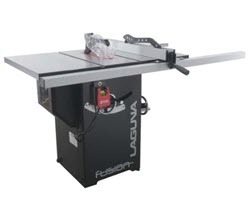 Many believe that hybrid saws represent the wave of the future for home shops. They're not quite in the same class as their larger cousins, but hybrids are sturdy and well constructed and offer many advantages for the serious hobbyist. The type of saw to consider for your shop depends on the type of woodworking you do, the amount of time you spend woodworking, your budget and, in part, the space and type of access your shop affords (you should think twice, for example, before committing yourself to moving a full scale cabinet saw into a small basement shop). If you spend only a few hours a week in your shop, mostly making small cabinetry and craft projects, a cabinet saw might be nice to have, but a little more than you need. 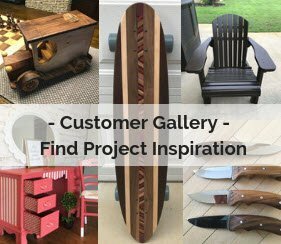 On the other hand, if you operate a small professional shop, and are looking for a saw that you can comfortably and reliably run for hours at a time, a low end contractor model will probably slow you down and end up being a disappointment. Hybrid saws offer a good middle ground for serious hobbyists, and will even prove suitable for certain small-scale professional operations. 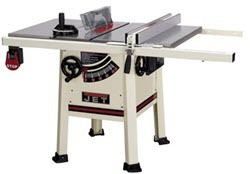 Jet Tools offers a surprising breadth of advanced features in its line of affordable "Supersaws." As important as the type of saw you choose are the individual features of the saw. 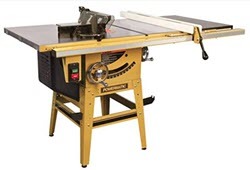 Some affordable contractor model saws offer many of the same features that you'd expect to find on a top-quality cabinet saw, such as the widely respected Accu-Fence system and precision ground cast iron table tops and extension wings you'll find on Powermatic contractor models. By the same token, while saws in the cabinet saw class all share certain features - a 3HP or larger motor, trunnions that attach to the base, and heavier construction - they are not all manufactured to the same standards. Take a close look at the quality of all of the saw's components, including the quality of the fence system, the mass and stance of the trunnions, the grind and finish of the top and extension wings, and features that make power transmission to the blade more efficient. Buying a table saw is a big investment, and worth careful consideration. You may not be able to "test drive" every table saw on your list, but you can read reviews, compare specs and features, and it doesn't hurt to take the manufacturers reputation into account. When you're ready to buy your new dream table saw, Rockler offers a wide variety of contractor saws, hybrid saws and cabinet saws from the most trusted brands in the business.